Some features in the Dialer writes data to your clipboard so that you can paste it into emails, instant messages, ect. Click to clip your conference bridge details. Error: You canned the install? to start over or HERE to learn more about the permissions. Click on "Add" to accept the permissions. 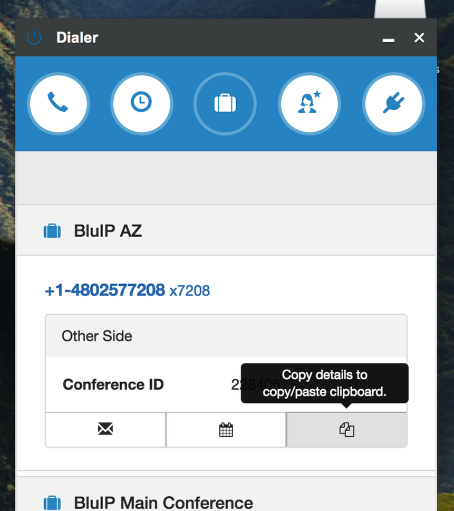 Lets download & install the Dialer into your Chrome browser. 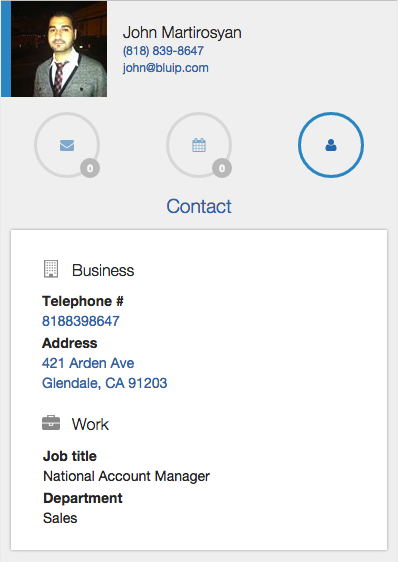 Pull up a call related contact from your Office365 contacts. View emails & upcoming calendar events between you and the remote party. Don’t miss out on conversations! View sent and received emails between you and the selected caller. See which emails are read and unread and click to open the email to reply and delete. Get the phone number, address, and business information of the selected contact. Click on the address to pull up Google Maps or click on the phone number to call them with Click to Dial! Display upcoming calendar events where you and the caller are attendees! Click to open the event and see more information. Click on the POWER icon to toggle the Dialer. Success: Hooray! The Dialer is installed.